My kids have been working with a word coach, “to build reading and writing fluency” and he actually goes by the name, Wordy Qwerty. He gets his name from the top, left-hand row of letters on a keyboard – Q.W.E.R.T.Y. (I’ve noticed that many electronic toddler toys now come with a QWERTY keyboard, as opposed to a keyboard in ABC order. I think it makes the transition to typing/keyboarding much easier.) 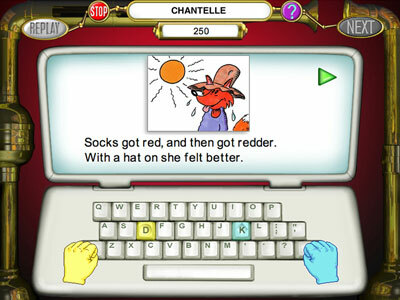 Wordy Qwerty utilizes a writing to read approach of teaching. Qwerty and his musician-friend, Midi, are the creation of Jeannine Herron and the star characters of her Talking Fingers – Wordy Qwerty program. Qwerty helps students master activities and earn music spheres that they give to Midi. The spheres enable Midi to build his marvelous music machine and make music. This is a definite highlight of the program in our house. Patterns – recognizing that most words follow about 20 easy spelling rules. Karaoke – catchy, stick-in-your-head songs for each of the 20 spelling rules. Learning that some sounds can be represented in several ways. Recycler – there are many word families. 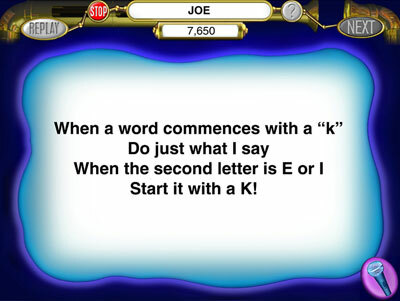 By changing the first letter, you can make hundreds of words. We make things rhyme all the time. 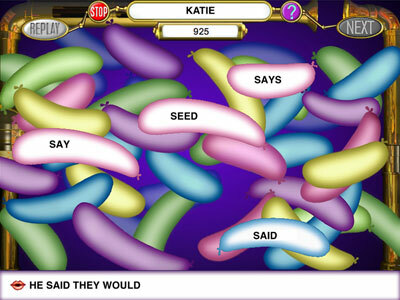 Pop-a-Word – quickly, and automatically recognizing that some words are “outlaws”, they consistently break the spelling rules. Write Stories – using rhymes, memory and dictation to build vocabulary, comprehension, and fluency, while developing spelling skills. Read Stories – reading and filling in missing words, increases vocabulary, comprehension and fluency skills. Click on the scope and sequence graphic, below, to try lesson 1 – Silent E – FREE. All home online subscriptions are for 5 years. Licensing is available for 1-5 users, for $25.00-$71.25 or you can order the CD home edition, for $35.00. 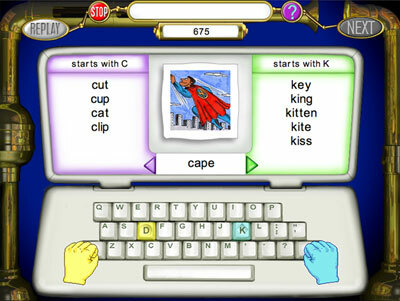 Talking Fingers also lists the option of purchasing both home editions, Read, Write & Type and Wordy Qwerty, for $99.00. Please, take the time to watch this 5 minute, YouTube video of Wordy Qwerty. It will give you a great overview of the system. Find additional reviews by clicking the TOS Crew banner, below. I hope you’ll let me know what you think of this product… It was an answer to my “need spelling curriculum” prayer, this year, with the bonus of reading, writing and typing practice. Very interesting! Looks like something I would have enjoyed as a child! 🙂 Thanks for sharing! Things like this make me even more excited about teaching mine at home! Sounds like a cool tool for school! Haha 🙂 Good review, thanks.